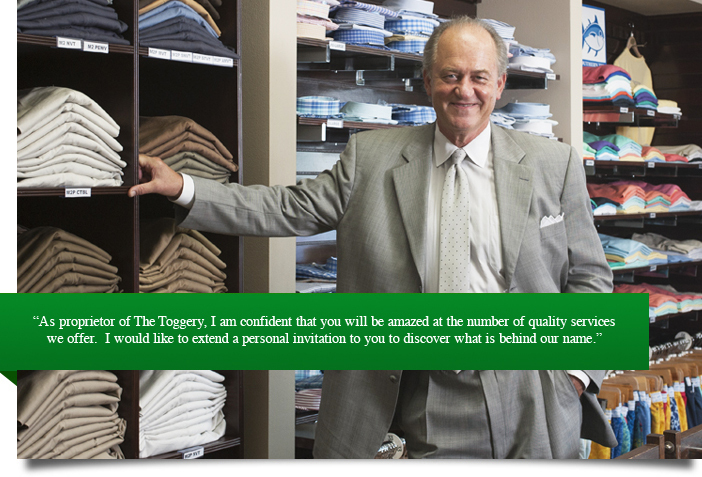 The Toggery was established in 1940 as a better men's clothing retailer. The current proprietor, Tom Baker, purchased The Toggery in 1976. We set high standards for ourselves just like you do. It's our commitment to make your experience at The Toggery, a pleasure.